Imran Khan, clad in a waistcoat and traditional white shalwar kameez garments, smiled broadly and could be seen wiping tears from his eyes while clutching prayer beads as the count was announced. Pakistani lawmakers have endorsed Imran Khan as their next prime minister, ahead of a ceremony on Saturday that should see the cricketer sworn in as leader of the nuclear-armed nation. Khan scraped together a simple majority in a confidence vote held in the lower house of parliament, three weeks after an election tainted by claims of military meddling and ballot rigging. 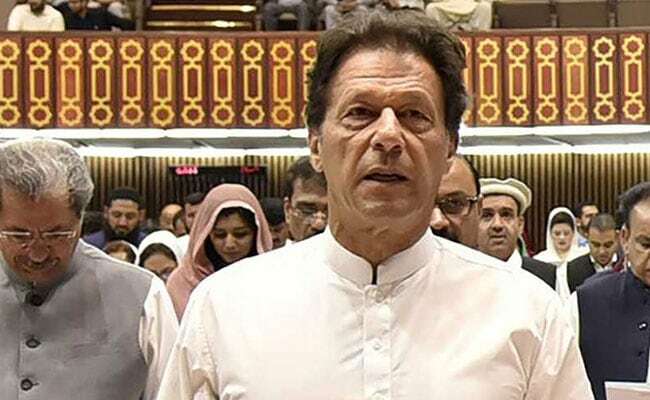 "Imran Khan has secured 176 votes," National Assembly speaker Asad Qaiser said after the vote, broadcast live from the lower house of parliament. He had needed 172 votes for a majority. His only rival, Shahbaz Sharif of the ousted Pakistan Muslim League-Nawaz (PML-N), won 96 votes, Qaiser said, with some opposition parties including the third-largest Pakistan Peoples Party (PPP) abstaining from the vote. The result brings him one step closer to ending decades of rotating leadership between the PML-N and the PPP, punctuated by periods of military rule. Khan, clad in a waistcoat and traditional white shalwar kameez garments, smiled broadly and could be seen wiping tears from his eyes while clutching prayer beads as the count was announced. He had appeared relaxed before the vote, smiling and shaking hands with other parliamentarians, including Sharif. The former cricketer, who captained Pakistan to World Cup victory in 1992, won the July 25 election but fell short of an outright majority, forcing him to partner with smaller parties and independents in order to form a government. Some television channels flashed archive images of Khan during his 1992 triumph as the vote was announced. The election was branded "Pakistan's dirtiest", after widespread claims through the campaign that the powerful military was trying to fix the playing field against the PML-N and in Khan's favour. Rival parties have alleged "blatant" vote-rigging, with several parliamentarians shouting protest slogans inside the assembly ahead of the vote. The army and Khan have denied the claims. He will face myriad challenges including terrorism, water shortages, and a booming population negating growth in the developing country, among others.